Here are the minutes from the recent Parent Council Meeting. Here’s a newsletter from P1 telling us about what they have been learning recently and what’s in store for them in December. To make the Blingo an even more fantastic fundraising evening we are still needing you to be generous and donate raffle prizes. We understand that parents get lots of similar requests at this time of year but if you can help us raise funds for the school that would be hugely appreciated. Can you either hand them into school or bring on the night. Thank You. The children will learn the basics of storytelling – be given the opportunity to give their own critique on what they think makes a good storyteller and will all participate in developing their storytelling skills. The sessions will entail group-work, games and storytelling followed by an evaluation. No reading or writing is required in the session as the emphasis is about developing creativity, confidence, teamwork and listening skills. This will provide the teacher the opportunity to observe all class participants interacting and tackling the tasks put before them. The workshops will be followed up with a class certificate of participation to mark the occasion and celebrate their achievement. Bardon Concrete company have been helping refresh some areas of our school grounds. They have done an excellent job in the old overgrown flower beds outside the P2 wing – see picture above. They have also put stepping stones into the new willow tunnel in the early years playground. They are going to help us dig over all our vegetable beds and they have tidied up the area with vegetable beds on the field. Many thanks to Elkie McMeekin (in our nursery) whose dad Jamie McMeekin has coordinated all this work. Primary 2 are enjoying their novel study about The Snail and the Whale. They have pretended to be the snail writing postcards back to their friends on the rock. They have also been thinking about solutions to the very big problem of the whale beaching itself on the sand. They were able to come up with some wonderful suggestions about how they could save the whale! They have made their own snails using different materials and have helped to create a class display. They have also experimented with different percussion instruments to recreate some of the places the snail goes to on its journey with the whale. In maths we are learning how to measure and have been using our feet, hands, straws and pencils to help us measure the length of different objects. We have also been weighing objects to decide which object was heavier or lighter and then weighing objects using cubes, bears and pegs. It was lots of fun using the scales! For our numeracy we have been working hard to learn our subtraction facts and doing lots of practise in the classroom and also at home. We are pleased that so many children are trying hard with their spelling and reading at home. They really enjoy our story time in class and are able to answer lots of questions about each of the books. The visit from the author was a huge success. He captured the children’s imagination and attention and had them all laughing which was really great to see. Primary 3 wrapped up warm and went to the Scottish Seabird Centre to take part in Seaside School, bringing their topic Under the Sea to a close. 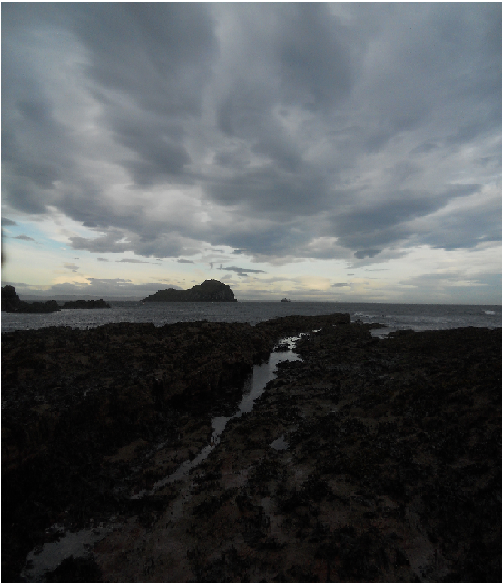 Pupils developed their knowledge about living things through exploring the rock pools and observing seals and other sea life on the web cams, took part in experiments with salt and fresh water and consolidated their knowledge about the water cycle through storytelling. Midlothian Council is appealing to the public to get involved in a consultation on nursery hours. The Scottish Government is currently planning changes via the Children and Young People Bill. The changes are intended to improve early learning and childcare, making it more accessible and affordable for everyone. As part of this, Midlothian Council is looking for local views on the proposed changes and has launched an on-line consultation. The Council’s survey process will include Education staff meeting directly with service users and schools across the local area. A paper survey will also be available in libraries and Council offices. Councillor Lisa Beattie, Cabinet Member for Education, said: “Midlothian already has a very high standard of pre-school education, as evidenced in inspection reports. But we are striving to improve our service even further and we want it to be the best it can be. Here is a newsletter from P1 telling you what they have been doing recently. 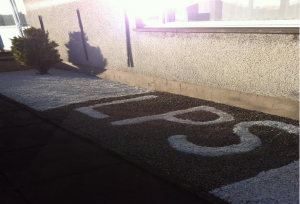 Here are some reports from the Learning Council on the recent visit to Lasswade. On Monday we had a visit from the Learning Councils from Bonnyrigg, Hawthornden, Burnbrae, Loanhead, Paradykes and Rosewell. We did the potato challenge. We all went in our groups and we looked at our potatoes and we remembered what they looked like. We got 8 more spare and then we tossed them on the table and we found our own one. Then we gave our potato a name and we designed it. After that we got in our groups and we made a home in a group and all of the potatoes in a group became a family. Then we gave our visitors a tour and snack and juice. We had a really good afternoon! On Monday the 5th of November we held the Learning Council Visit at our school. First we welcomed the other schools. Then we got back into our teams and did a voice on the table by telling our groups what our favourite TV programme is. Next we did something called the potato challenge where you have a potato and treat it like a child and we gave our team potatoes a house. It was really fun and I hope the others enjoyed it too. After our Potato Challenge we went to the class rooms and showed our visitors around. We showed them the tyre park and willow dome then we had a snack and we said good bye.